We preview two of the more interesting Round of 32 matches taking place at the WTA Tour's China Open. Belgian Kirsten Flipkins is a tour veteran at 32 and will be going into this match as a considerable underdog with the bookies. But there have been glimmers of hope this season for the Belgian. The 2013 Wimbledon semi-finalist once again excelled on grass, reaching the final of the Rosmalen event. She failed to get beyond the second round of any of the Grand Slams, but she still picked up a few encouraging results. She reached the semi-final in Nurnberg and made it to the quarter-finals in Lugano. This may not be her favourite surface but she did manage to reach the 2016 Monterrey Open final on a hard-court. And this week she will be facing an opponent she’s very familiar with. Dutch powerhouse Kiki Bertens has absolutely exploded onto the tennis scene this year. The 26-year-old has always had the talent but this year has seen it germinate into something quite special. She had a sedate start to the year and it took the switch to clay for it to really ignite. She managed to win her first Premier Title by beating Julia Gorges in the Charleston Open Final. She then would go on to lose the Madrid Open final to Petra Kvitova. She then translated those clay-court heroics into a highly creditable quarter-final appearance on the grass-courts of Wimbledon. The switch to the hard-courts saw a solid quarter-final start in Canada before the biggest week of Bertens’ life. She claimed the Cincinnati open, beating the Wozniacki, Svitolina, Kvitova and Halep in the process. She was likely disappointed with a third round result at Flushing Meadows, but she recently picked up the winning bug again in South Korea. All of the traditional indicators seem to suggest that Bertens is the overwhelming favourite. However, Flipkens resoundingly leads their head-to-head 4-1. In fact, Flipkens has won their last four encounters, including two matches this year. The price would seem to suggest that underdog Flipkens is well worth a gander considering her recent dominance over Bertens. 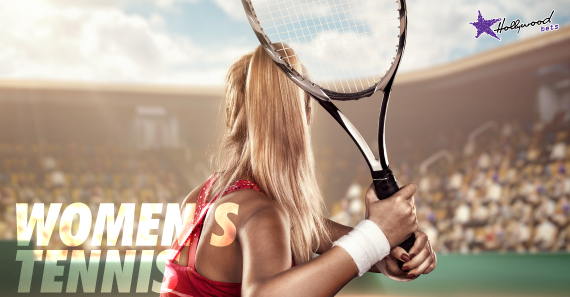 Ultra-aggressive Slovakian Cibulkova has steadily accumulated a decent season for herself, despite some controversy when she was ousted by Serena Williams from the seedings at Wimbledon. The 2014 Aussie Open runner-up and 2016 Tour Championship winner clearly has a fondness for this surface. She reached the quarter-final at Sydney before an early exit in Melbourne. She has gone on to two finals this season, losing both the Strasbourg and Budapest Finals. She also had an excellent run at Wimbledon, beating Elise Mertens and Konta en route to an excellent quarter-final finish. She also reached the final 16 at Flushing Meadows, accounting for the demise of Angelique Kerber on the way. She recently reached the quarter-finals at Wuhan and will be hoping for a strong end to the season. Daria Gavrilova is an Aussie of Russian descent and has been on the cusp of some excellent results throughout the season. She has some hard-court credentials, winning in New Haven last season. She also reached the Kremlin Cup Final in 2016 and the Hong Kong Open in 2017. Her season really started with a semi-final run in Acapulco. She then had decent Round of 32 showings at both Indian Wells and Miami. She also managed a Round of 32 showing at Roland Garros. The third round seemed to be a mental block for Gavrilova this season as she once again fell at that point at Wimbledon. Her hard-court season hasn’t exactly sparkled, culminating in a 2nd round departure at the US Open. This appears very tight on paper, with Cibulkova the marginally favoured player. I once again think I’m going to go against the grain based on a head-to-head basis. Gavrilova leads that head-to-head 2-1, but most importantly claimed the last two victories. That included a victory this year on the Birmingham grass-courts. More importantly, Gavrilova claimed that victory in last year’s New Haven final.